Welcome to Liberty Island--Bond No. 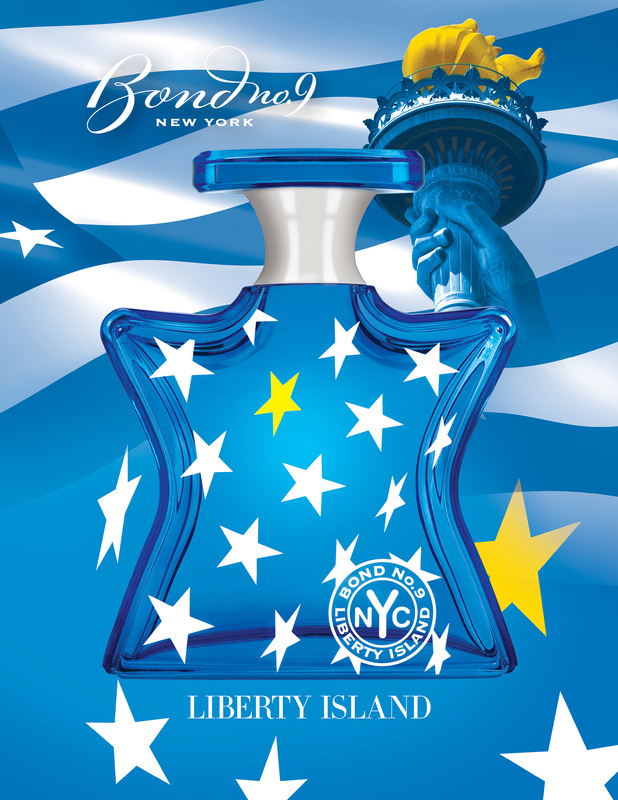 9’s lush and lively Summer ’16 scent, celebrating the world’s most famous island, home of the world’s most celebrated symbol of freedom—the torch-bearing Statue of Liberty. NEW YORK, June 7, 2016 /PR Newswire/ -- New York-centric Bond No. 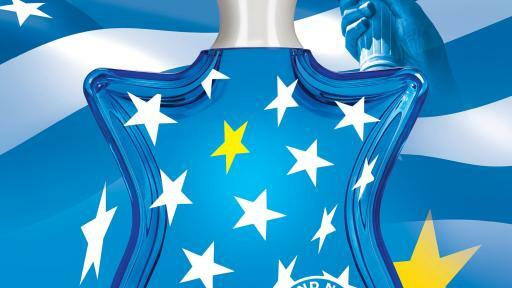 9 has a summertime tradition launching fresh and breezy island and beach scents. Coney Island was the first. Then came Fire Island, Montauk, Hamptons and Shelter Island. But for summer 2016, we take a different tack and pay homage to a destination island of a totally different sort. Arriving in time for Independence Day, we are utterly proud to introduce Liberty Island—the world’s most famous island, visited by four million freedom-lovers a year. 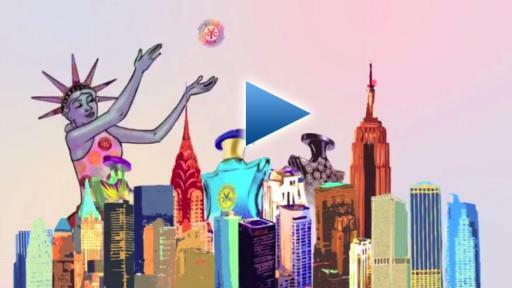 Yes, a joyous eau de parfum honoring the hallowed 12-acre tract of land in Upper New York Bay that is home to none other than the crown-wearing, torch-bearing, 151-foot tall, Franco-American Statue of Liberty itself. 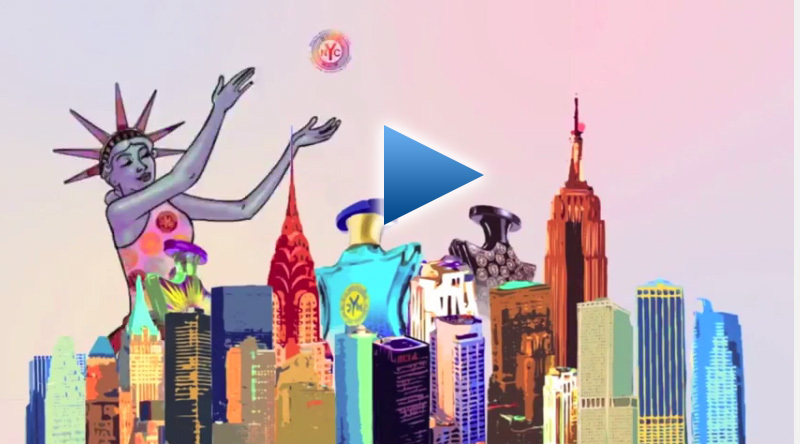 Liberty Island, the eau de parfum, is a joyous, sparkling fruity-floral summertime blend that, in keeping with democratic precepts, is wearable by women and men alike. Its starter notes—citrussy bergamot essence and mandarin essence, along with tangy blackcurrant—will rivet your attention. Then comes the lush heart notes, orange blossom absolute and jasmine, which are there, frankly, to seduce. (It’s summertime, after all.) These segue into a lingering base with a high percentage of heady musk mingled with sugary marshmallow—a time-out flavor, if ever there was one. Bond No. 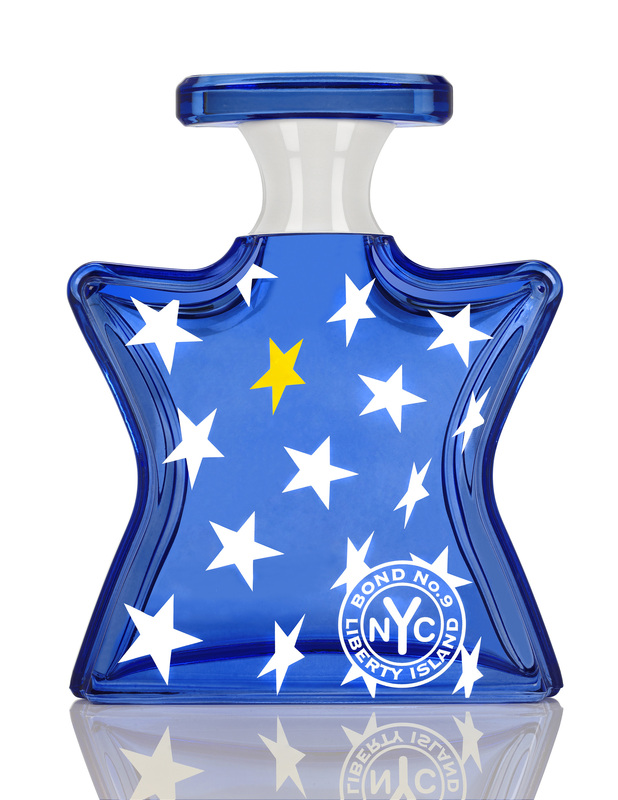 9’s Liberty Island superstar bottle is rendered in shining, semi-transparent cobalt blue. 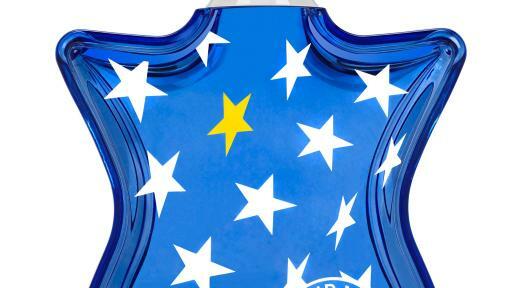 Randomly strewn on its surface is a network of jaunty and effervescent white stars—co-opted from both the Star-Spangled Banner and Miss Liberty’s irregularly star-shaped base. Liberty Island arrives on counter June 2016.